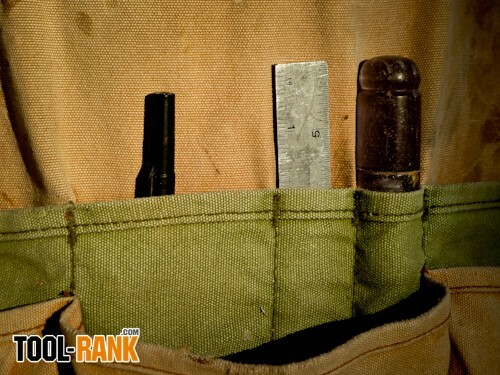 As a finish carpenter, I have an apron pocket assigned for a small combination square. (In addition to whatever else finds its way in that pocket) But I notice that after tightening the ruler in the base over and over again, inevitably the day comes when the ruler no longer tightens in the base and it's time for a new combo square. So it was that as I was digging around in my tool box, I found a couple of loose steel rulers. Now I'm not one to throw something out if it has a purpose, but what can you do with half a tool? That's when I discovered a "new" tool. It was the ruler by itself. Sure, you can take the metal ruler out of the base to use for precision measuring, but I found that having the six inch ruler alone and ready in a pocket is very handy. Let's say that you have to lay out marks for a small cut-out in the middle of a panel; do you want to fumble with a tape measure to get your precise mark or draw a straight line? What if you need to quickly gauge the depth of a quirk, dado or rabbet? 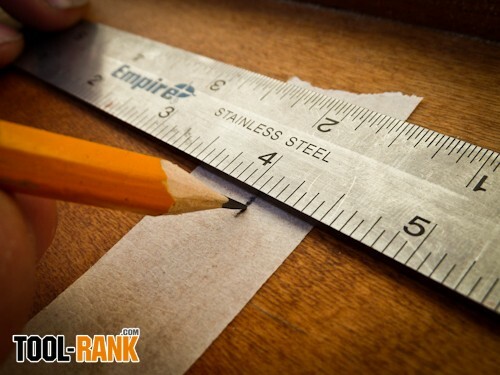 The use of the steel ruler is also quick and useful for inside dimensions. (I know, the base of your tape measure tells you what to add for an inside dimension, but that's not precise enough for me.) It might be a no-brainer, but it seems that I am always finding new ways to use the thing. The other guys in my crew are also finding it very useful. 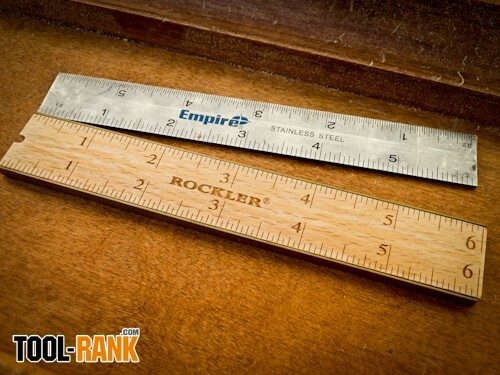 Though, you don't have to wait for a combination square to wear out to get a ruler, you could always go and buy one from your office supply store.